Samsung Galaxy S5 with Iris Scanner and 64-Bit Processor! The current rumors point toward a Q1 2014 release of the flagship Samsung Galaxy S5 smartphone, but what new toys and features will Samsung bring to the table? For starters, it might start scanning your eyes for security reasons. Samsung already uses face detection technology as part of its software package (like Smart Stay and Smart Scan), but this would go further. If you have a NEXUS pass, then you may have used a retina scanner at the airport. You’ve probably seen these scanners in movies too. The embedded iris scanner would likely use the front-facing camera, unlocking your phone without the need to enter a PIN code. This goes further than the sometimes buggy, sometimes too lax face detection unlock. It could also be Samsung’s answer to Apple’s Touch ID fingerprint scanner, but it could be better: it doesn’t require touch and it processes the biometric data more quickly. Speaking of Apple, even though some people may say that 64-bit processing isn’t yet necessary for mobile, we see it in the iPhone 5S. The Samsung Galaxy S5 could follow suit with a processor based on 64-bit ARM architecture too. 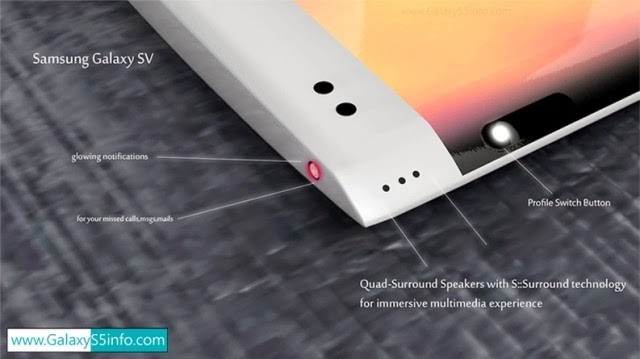 This is in line with previous announcements made by Samsung that they too would be pursuing a 64-bit smartphone. 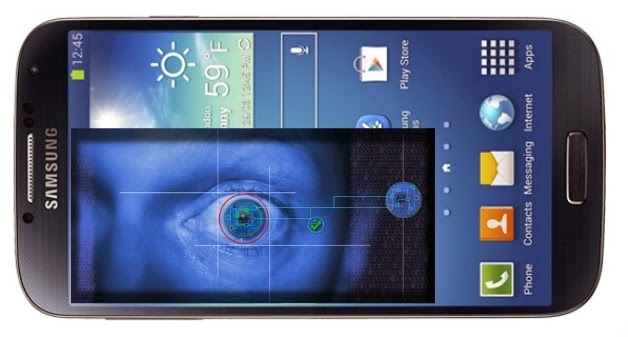 When the iris sensor will be available in a Samsung device is anyone's guess, but the Galaxy S5, rumored to be slated for the Mobile World Congress in Barcelona in February 2014, could see it included. There's still several months to go and Samsung obviously have the tech down, so it's just a case of manufacturing enough supply for what will certainly be a very high profile flagship and the last of the Galaxy S line flagships as the Galaxy F series comes in as Samsung's premium handset line. Would you like iris scanning technology on your smartphone? How important is security to you compared to convenience?